Milton, Georgia was incorporated on December 1, 2006. 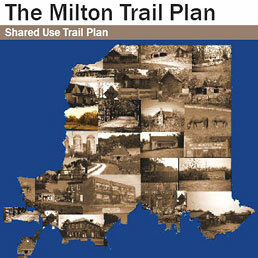 The city’s first official planning act was the development of the Milton Trail Plan, a bicycle and pedestrian plan whose purpose was to build community by linking together the city’s 30,000 people spread over 23,000 acres. Bill Drummond directed this work and coordinated public input through ten meetings of an active citizens’ advisory committee. Development of the plan began with demographic analysis of the current population and projections of future population. GIS was then used to identify major destinations including schools, parks, shopping areas, population concentrations, and important cultural resource and natural amenity areas. 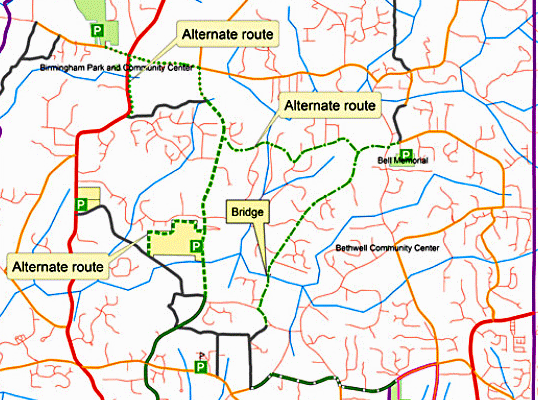 The destinations were then linked by a careful selection of gravel roads, sidepaths along arterials, and overland greenways. 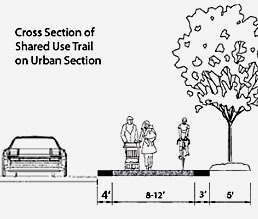 Among the trails a crucial core network was identified, priorities among the trails were established, comprehensive funding estimates developed, and a detailed set of trail design guidelines was crafted.